As promised, these are they; the new tracks off of the new Eisley record, Combinations, provided solely for your listening pleasure. I’ve had the pleasant chance of listening to the whole album (you can too, by streaming the whole album from their MySpace page) and we all know that that calls for an album review, though I’m feeling slightly under the weather to write a lengthy post today. (Do I hear some distant hoorays?) Anyway, these are particular tunes that deserve special mention. Invasion – First single to be released from the new record; a song that requires time and a couple of listens to be fully appreciated. Taking Control – I love how the song starts, but then it takes in a whole new direction and becomes another one of those typical pop-rock songs. I Could Be There For You – Nice melodies, potentially good. 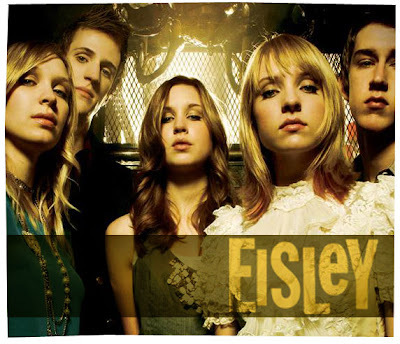 Come Clean – Very Eisley. Very Good. Instant fave. Ten Cent Blues – Is the band going ‘country’? Can’t help but be reminded of Camera Obscura a little. If You’re Wondering – The perfect song as a closing track for the record. However, you could change the lyrics to Korean and it would fit snugly amidst all those music themes to Korean soap operas – albeit a good song nonetheless. These are some of the tunes that I think are worthy enough. Hopefully, they’re worthy enough to send you walking down the street, heading towards the nearest record store to purchase their wonderful new record. Enjoy!